Food is a basic need for survival and we need the nutrients in our food so we can stay healthy. When a person suffers from an eating disorder, food consumes his or her life. Sometimes people turn to food for comfort due to stress, depression, or anxiety. Eating disorders come in many forms such as anorexia, bulimia, and binge eating. 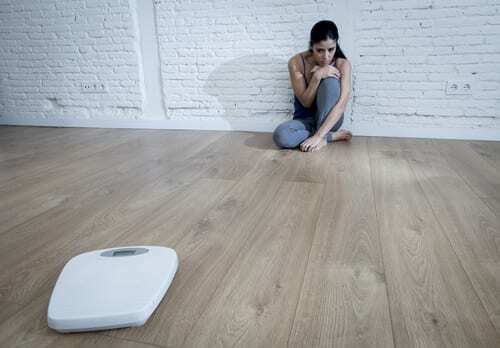 All eating disorders can cause physical disfiguration, impairment, obesity, and death. A person who has an eating disorder develops an addictive relationship with self-destructive eating patterns. An individual suffering from anorexia will starve due to his or her distorted perception of how they look. The lack of food causes extreme weight loss, hair loss, impairs the body’s organs, and is fatal. An individual with bulimia can eat normally or binges, then immediately and intentionally vomits the food consumed. He or she might like the taste of the food but throws up to avoid gaining weight. Bulimia can cause tooth decay because the stomach’s acid comes up with the food. A person who has bulimia is at risk of developing severe physical impairments and possibly an early death. A person who struggles with an eating disorder shows similar characteristics of a person who suffers from a drug or alcohol addiction. Both addictive behaviors are self-destructive, harmful, and deadly. When a person has an eating disorder, he or she does not have the ability to stop the behavior. Addiction changes the way the brain functions and leads to a loss of control. A person who is addicted has a preoccupation with the abused substance, uses the substance to cope with stress and negative feelings, and secretly continues the behavior despite harmful consequences. The reasons why a person develops an eating disorder are comparable to how one develops an addiction to drugs or alcohol. Social pressure, impulsivity, stress, and emotional trauma are reasons a person turns to addictive behavior. If you or a loved one is struggling with an eating disorder or addiction, get help now. Treatment is available for a dual diagnosis and can be tailored to your unique needs. Do not suffer alone. There is hope in recovery.